The fuel calculation options can be switched by the free Software Megatune between ALPHA-N, MAP-Sensor und Hybrid as main variable for ignition and fuel tables. So you can use the kdFi V1.4 on normal Gasoline Engine or supercharced ones. 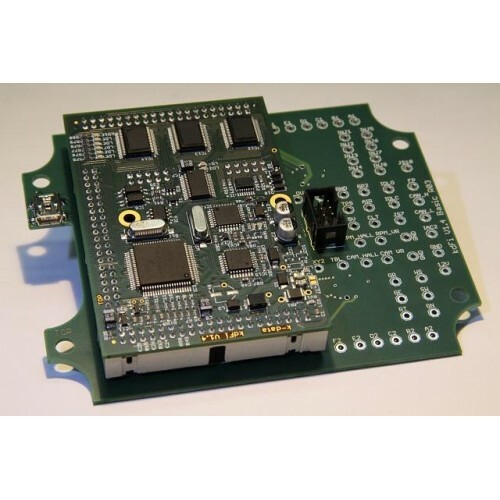 This Bluetooth Modul works with all kdFi V1.4.Just plug it between kdFi V1.4 Modul and the lower PCB..
Universal aluminium mountable casing.Custom projectsCustom ECU casingsFeatures:Light weightcustom bu..